The main issue this time of year is the honeydew that pest leave on the cotton. Honeydew is the exudate extracted by the insect as it feeds on the leaves. 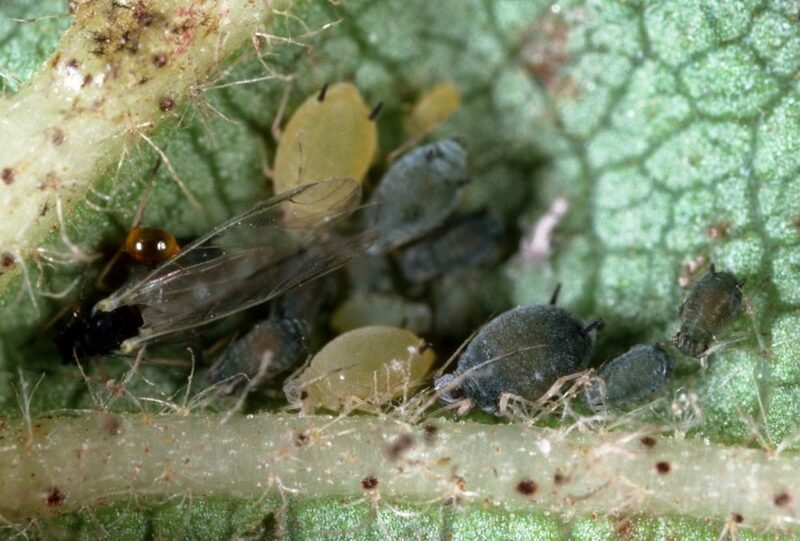 “Because we have the bolls on the plant that have opened, we now have exposed lint and need to protect that lint from stickiness that's created from whitefly and the aphid honeydew, which is basically the added sugars that those insects that feed on the leaves of the plant, and they excrete them and deposit them on the lint,” Munk said. Munk explained that the big concern right now is dealing with pest pressures in terms of whitefly and aphid—both sucking insects. "The problem right now [is] where we're seeing pest pressures—particularly from whitefly as we get later in the season—will build in many fields. There are several approaches to controlling whitefly and aphids. One is to deal with the eggs that they produced. And then there's a certain class of materials to deal with the eggs. “There's another class of materials that deal with the juveniles—that early form of the insect—and then there are ways to control the adults,” Munk said. “A number of insecticides have been applied to deal with those various levels of insect populations based on the individual field situation,” he explained.